Indonesian officials have raised the status of one of its most dangerous volcanoes, Anak Krakatau, to a “standby” or level IV - the highest level. The island group of Krakatoa (or Krakatau) lies in the Sunda Strait between Java and Sumatra. Krakatoa is infamous for its violent Plinian eruption in 1883, that destroyed the previous volcanic edifice and enlarged its caldera. Collapse of the former volcanic edifice, perhaps in 416 AD, had formed a 7-km-wide caldera. 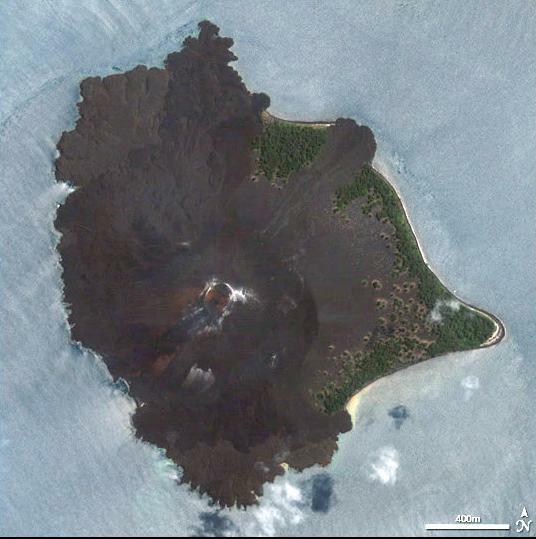 Remnants of this ancestral volcano are preserved in Verlaten and Lang Islands; subsequently Rakata, Danan and Perbuwatan volcanoes were formed, coalescing to create the pre-1883 Krakatoa island. Caldera collapse during the catastrophic 1883 eruption destroyed Danan and Perbuwatan volcanoes, and left only a remnant of Rakata volcano.